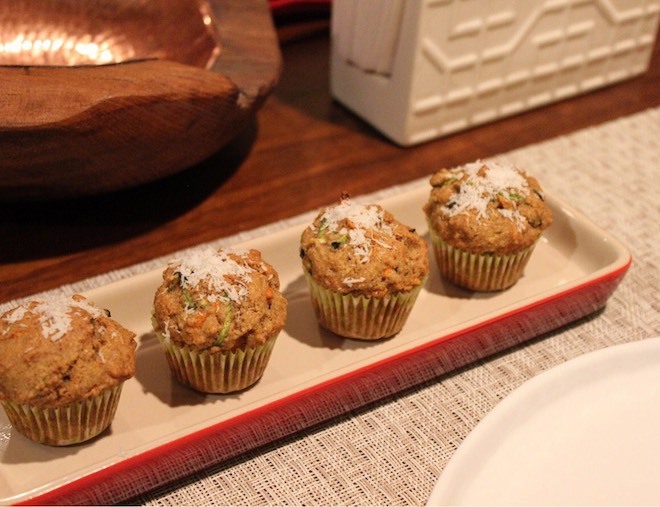 It’s Mini-Muffin Monday! Everyone loves a good muffin, right? 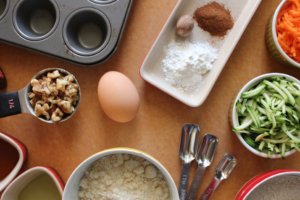 While not often thought of as a “healthy” choice, muffins can actually be a great way to get in some fruits, vegetables, and fiber that might be missing in the diet in other places. It’s a matter of making them in a way that is both delicious and smart. 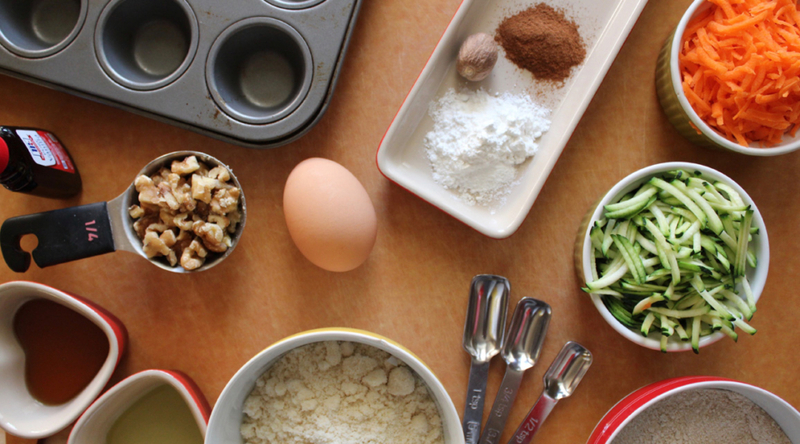 Plus, making them in a mini-muffin tin help control portions and makes them so much cuter! This is one of my favorite ways to share baked goods- there are more to go around, and the perfect little bite to complement the rest of your breakfast or snack. 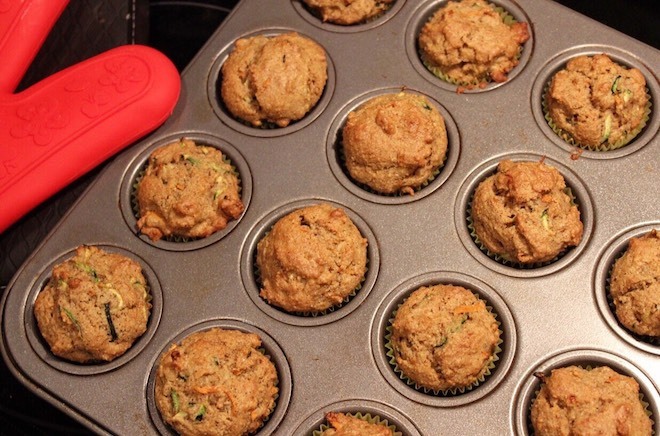 I’ll often make muffins in the mini-muffin pan as well for events like parties, showers, brunches, etc. Today’s muffin recipe is a riff off of a Giada de Laurentiis recipe, which I tweaked to make it more to my taste. Feel free to substitute the type of vegetables, dried fruit, or nuts of your choice. Place an oven rack in the center of the oven. Preheat the oven to 350 degrees F. Grease the mini-muffin pan or line with small paper liners. Set aside. In a medium bowl, mix together the flours, salt, baking powder, baking soda, cinnamon, and nutmeg. Consider using a sieve to ensure all components are well-blended and smooth. In a separate medium bowl, whisk together the oil, syrup, vanilla, and egg. Add the dry ingredients and mix until just combined. Mix in the grated carrot, grated zucchini, and nuts. Using 2 small spoons, fill the prepared muffin cups ¾ full with the batter and bake until light golden, about 15 minutes. Cool for 5 minutes. Transfer the muffins to a wire rack to cool completely, about 30 minutes.